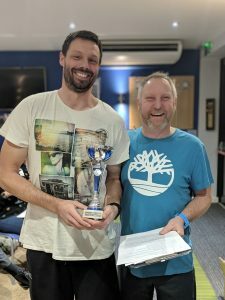 We had a great turn out for the SLGR AGM last month, apologies that this has taken a while to publish but we had one more award to give out and we only managed to do that yesterday. There will be a separate post on your new committee and the AGM notes will be emailed soon. For now, the good bit, The team awards. 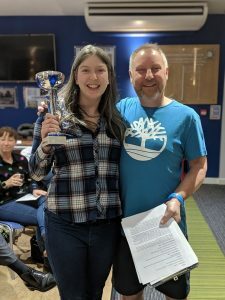 The committee come together about a month before Christmas to discuss who we think should win the awards for Male and Female Runners of the Year and Most Improved, we all come with opinions and reasons and we lay them on the table and battle it out before we take a vote. We add to that, anyone who has really stood out for a possible Outstanding Achievement award. I think we all had quite clear winners in mind this year and thankfully they all matched so it didn’t take too long. 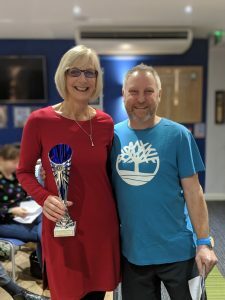 Leslie was first SLGR female home in every one of the GP events that she took part in last year; she’s been smashing out great performances all year despite a couple of injury niggles and asthma. On top of that, Leslie is willing to help and encourage others and is a great team player. 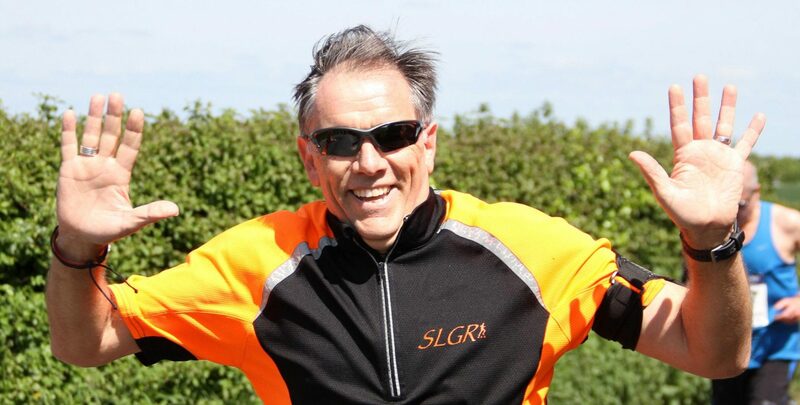 Gavin ran his first marathon this year in Edinburgh and he did it in a black and orange kilt. 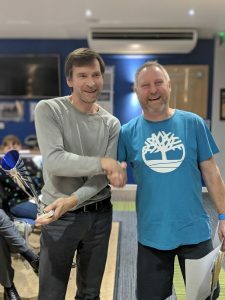 He has performed well throughout the year at all distances and is another great team player, encouraging, supportive and wiling to run with anyone who needs a run buddy. A genuinely lovely guy whose running has improved throughout the year. 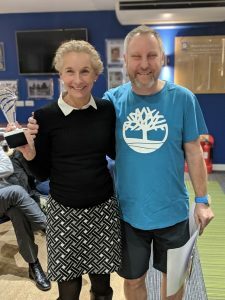 Suzanne started the year saying that she couldn’t run and finished it with several half marathons under her belt and is now training for the London Marathon. Her times have improved month on month and she even managed to bag first lady home in her age group at the Wimbledon half. She is super competitive to the point where she admits to racing the person on the next self-checkout at the supermarket. Hilary took over the running of “So Let’s Go Running (Gravesend)” about 2 ½ years ago. At that time it was a small group of people running from Cascades in the capable hands of Lynne Wheeler. Often you could count on your hands how many attended. Since this time Hilary has built up the group and recently there were 60+ people attending a Tuesday session. Hilary is an extremely good motivator to all that run with her, encouraging them to enter races and push themselves to their next target. 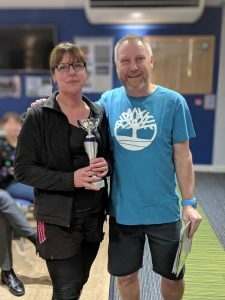 She has helped foster a really friendly atmosphere within the group and keeps an eye of her runner’s achievements, encouraging and congratulating all. She has a strong social media presence and uses this to instruct and encourage the runners during the week. She has set up a 0 – 5k course that she runs on a regular basis within the Tuesday and Thursday “So Let’s Go Running” sessions. The course last for 12 weeks and she encourages the participants to use Parkrun as an additional training session. They have a “graduation” at the end of the course and are supported by the whole group. Hilary is a regular volunteer at Junior Parkrun Gravesend and recently has started following this with a casual long run along the river for any runners who want to join in. As if this didn’t take up enough time she has pushed her own personal running development and completed 10 half marathons in 10 days with SVN last August. It is a testament to the loyalty she has developed with her running group that every day she was joined by someone to run all or part of the course with her. I know she is doing another SVN event, three consecutive days, 1-3 Feb and is hoping to perhaps do more than a half at each of these so she continues to push herself. The votes were coming in thick and fast this year with quite a few people getting voted for which shows what a great bunch we all are but in the end there were two runners who really stood out and ended up in a dead tie for your votes. There was nothing else for it but to award two trophies. 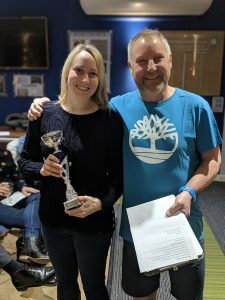 Fleur was there to collect her award on the night but it’s taken us nearly three weeks to finally catch Darren to give him his trophy, hence the delay in getting these pics out. It was quite close at the top, I will try to upload the full document but here is the list with scores and the number of events run. There are a couple of people who could probably have made the top three if they had run more events or weren’t dressed as gorillas and pirates for some of the events. In the end Janet Cooper absolutely smashed it again, I can’t even run that fast and I’m ten years younger, she’s definitely the runner that all of us females aspire to be. 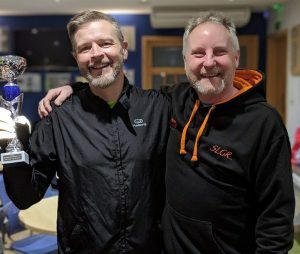 Phil has also maintained his impressive form, stepping up one place from last year and Suzanne Curran just sneaked in to third place knocking Mark Browne out of the top three and in to fourth, with James making an impressive and hard fought fifth. The results are age graded, so the percentage listed on the full sheet is what percentage you have achieved against the best time for this year of a runner or your age at the same distance. As an example, if you run a 10k in 60 minutes when the best time for the year of someone of your age is 30 minutes, your percentage would be 50%. Well done to everyone who took part, it was great to mix it up a bit with the fancy dress at Harvel and the Christmas run, so we’ll maybe do that again this year. 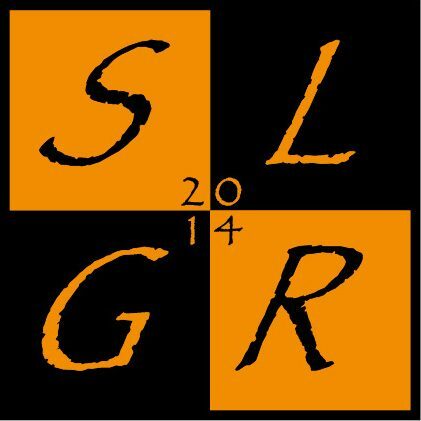 We still have to confirm races from April onwards, so if you have any suggestions and requests, please let us know.